Creating a website is an exciting activity that everyone should try. Whether you’re artistic or practical, you’re sure to find enjoyment in this creative process. Nonetheless, as with all things, creating a website comes with a tedious side that can hamper your creativity. For some, it’s writing website content; for others, it’s “back-end” programming, which can become rather abstract. My personal Achilles’ heel is “front-end” programming. Luckily, I discovered Bootstrap a few years ago. This simple and easy-to-use library, originally developed by Twitter in 2010, helps web designers develop a professional, dynamic, and effective style. A few days ago, a stable version of Bootstrap 4.0 was released. This version had been in development for more than three years. The team behind this CSS library did remarkable work to ensure the changes were as transparent as possible. Some changes, however, merit more detailed explanation. Let’s take a closer look! Flexbox is a new CSS standard for positioning elements. This technology offers increased control and allows you to easily create a responsive website. Don’t worry–Bootstrap 4 transparently integrates this technology into the grid system that we’re all familiar with from Bootstrap 3. You can learn more about Flexbox by taking this online course. Looking at Bootstrap’s CSS source code, we can see that there are almost 9,000 lines! Managing so much code is hard. Bootstrap 3 used LESS for facilitating library development. For the new version, the developers decided to use a tool that has exploded in popularity: SASS. 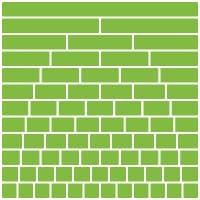 This tool is more flexible and generates CSS faster. The Bootstrap team has thoroughly documented the process for migrating to Bootstrap 4. If you don’t want to do everything manually, the community has developed a tool that can convert Bootstrap 3 code to Bootstrap 4 code. You can try it out here. Bootstrap 4 comes with some very interesting features while retaining its predecessor’s best qualities. The web hosting solutions offered by PlanetHoster, your trusted web hosting provider, are entirely compatible with Bootstrap 4. A trial of Bootstrap is available on our free web hoster, World Lite. 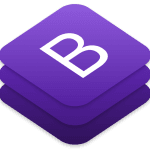 Let us know what you think of Bootstrap 4.0! We look forward to hearing from you!